This is a clear miss. 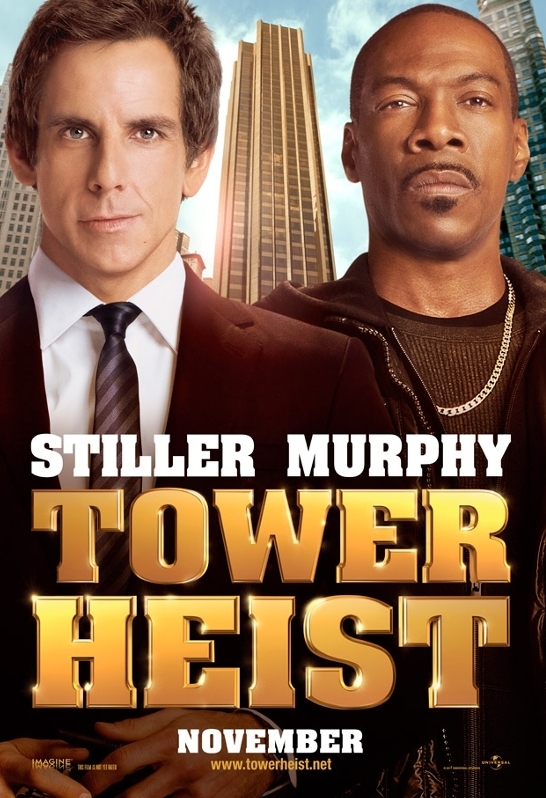 Yes, the title is treated in a gold tone, a nod to the large sum that the ragtag crew in this comedy caper is conspiring to capture (deep breath), but other than that, it says nothing about the film. Ben Stiller. Eddie Murphy. A Tower. Is that all we really need to know about this movie? Perhaps. Any movie with a poster that features blatant shots of the actors staring into the camera doing absolutely nothing is a movie that’s banking solely on the talent to sell tickets, leaving one to wonder if there’s a story or any other redeeming qualities at all. I admit, the trailer got a few chuckles out of me, but I won’t be paying to see this when it hits theatres on November 4th. Spoiler Alert! This is one of the better posters of the year, advertising a truly great film. The use of Time conveys the political nature of the movie. The look on Ryan Gosling’s face and his loosened tie indicate a man who’s clearly been through an emotional wreck. 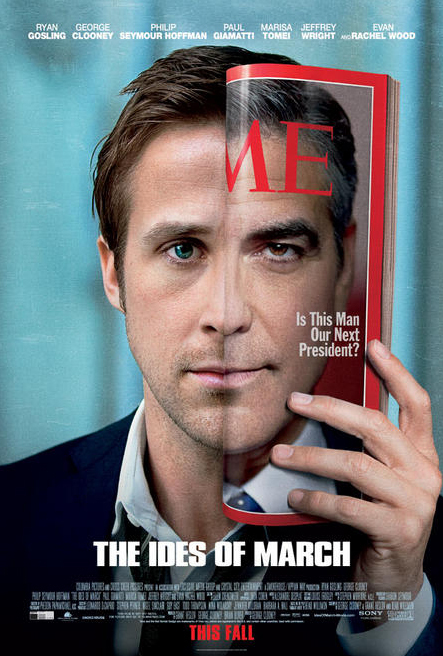 And then there’s the obvious element here that makes you do a double take: the blending of Gosling’s face with George Clooney’s, foreshadowing how the two characters eventually become one in the same throughout the course of the film as we discover one character is just as dirty as the other. This effect of melding the two faces together both works with the film’s story and also serves as a clever trick. The designer of this poster surely knew people would spend some time gazing at it, picking out the subtle similarities and differences in both actor’s faces. Anyone in advertising knows (and I work in advertising, so I know), the longer you stare at an ad, the better it is for business (or in this case, ticket sales). The film is currently in theatres. 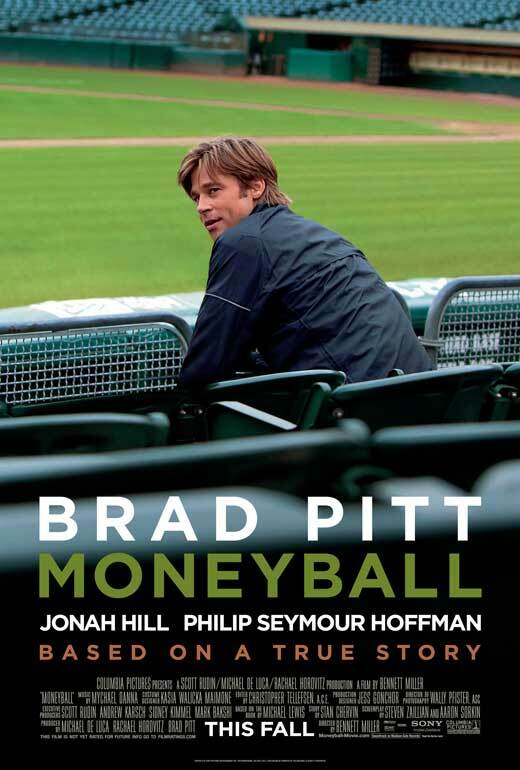 The good news is that Moneyball is one of the year’s best films, worthy of multiple Oscar nominations. 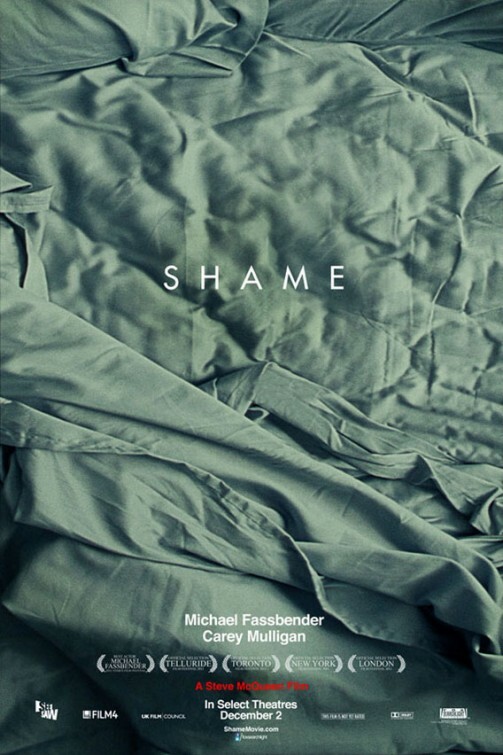 The bad news is that the film’s poster makes you believe the movie is more in line for Razzie consideration. Seriously? Brad Pitt sitting in bleachers? Doing nothing? Literally, just sitting and looking? This picture looks like it was taken as a candid shot in between takes during shooting—something that would appear in a behind-the-scenes retrospective, not in the primary selling vehicle for a movie. Luckily, the film has enough great qualities to help it stand on its own. But who’s going to see it if its advertising implies otherwise? But seriously, go see it. It’s in theatres now.